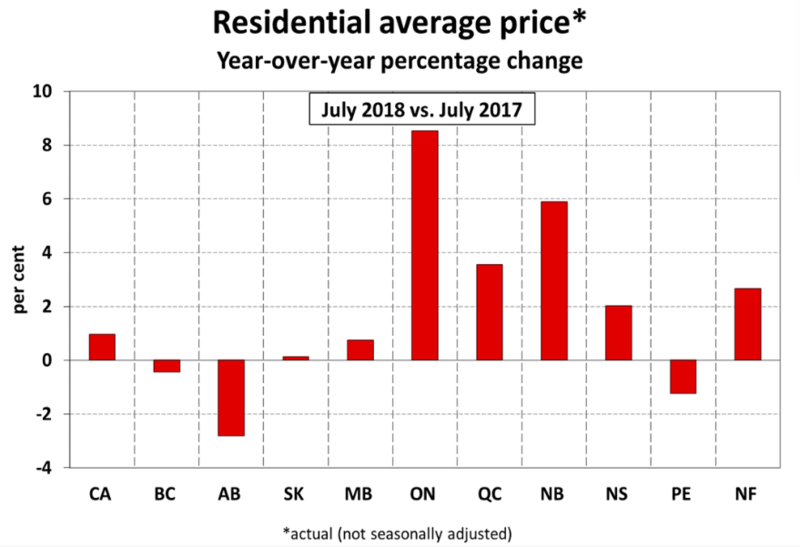 It was a slightly more rosy picture for the Canadian real estate market in the month of July. Despite a tumultuous month for the province of BC, which witnessed home sales fall 24%, a slight rebound in Ontario, Canada’s largest housing market helped support the nations housing statistics. Home sales across the nation dipped just 1% year-over-year in July. While this could be considered encouraging news following double-digit sales declines in the early part of 2018, it was still the fewest July home sales since 2012. Meanwhile year to date (January through July) home sales remain at their lowest total since 2009. 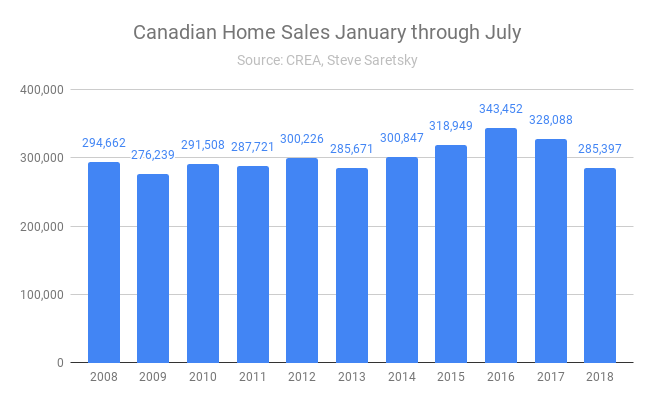 Canadian home sales January through July. While the average sales price increased by 1% year-over-year it doesn’t paint the whole picture. A large run-up in Ontario, which saw the average sales price increase by nearly 9%, is a nice bounce back following a flash crash in the last three quarters of 2017. Price movements were spread out across the nation.